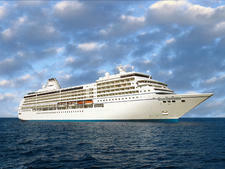 Seven Seas Splendor is the second ship to launch in Regent Seven Seas Cruises' Explorer Class. 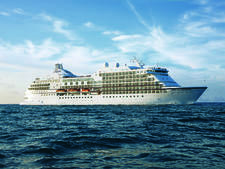 The first ship, Seven Seas Explorer, was proclaimed the "most luxurious ship ever built" by the cruise line. 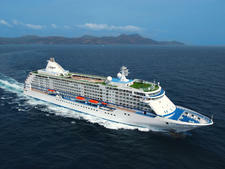 Like Explorer -- and other ships in Regent's fleet -- Seven Seas Splendor will offer an inclusive cruise fare that covers round-trip air (with some caveats); transfers to and from the airport; unlimited shore excursions; nonalcoholic beverages plus wine, beer and spirits; in-cabin mini-bar; prepaid gratuities; Wi-Fi; and meals at all specialty restaurants. Aboard this all-suite ship, every accommodation will include a spacious balcony, from entry-level Veranda Suites at 219 square feet plus an 88-square-foot balcony all the way up to the ship's most extravagant digs, the 3,026-square-foot, two-bedroom Regent Suite with two private balconies spanning 1,417 square feet. While every suite will offer free Wi-Fi, a welcome bottle of Champagne, 24-hour room service and an ensuite mini-bar, you'll receive additional perks for booking higher category accommodations. 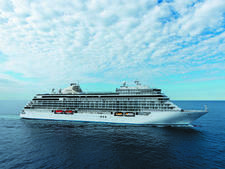 For example, Concierge Suite passengers receive a free one-night pre-cruise hotel package with ground transfers, porterage and breakfast; priority online shore excursion reservations; discounts on premium alcohol and for-fee excursions; plus in-cabin binoculars, cashmere blankets and an Illy espresso maker. Penthouse Suite passengers will be pampered by a butler and upgraded bath amenities from Guerlain (lower level accommodations are stocked with items from L'Occitane's Mer & Mistral collection). The top-end suites get upgraded bath amenities, Champagne and priority boarding on embarkation day and free and unlimited laundry. Book the Regent Suite and you'll even be treated to free unlimited Canyon Ranch SpaClub treatments right in your cabin (there's an ensuite private spa room with sauna, stream room and Jacuzzi). While details about Seven Seas Splendor's dining venues have yet to be announced, passengers can expect the outlets to be similar to those aboard Regent Explorer. Look for two main restaurants (Compass Rose and La Veranda/Sette Mari). Passengers can enjoy dinner at those restaurants whenever they wish. Onboard gastronomic options will be rounded out by several specialty restaurants -- likely a steakhouse option as well as French and Asian eateries -- at which passengers can dine at each at least once per cruise. All dining rooms will be elegantly appointed and tables set with top-notch crystal, silverware and china from designers like Versace and Bernardaud. Expect multicourse a la carte options as well as special tasting menus. There will be no surcharges at any of the specialty restaurants. Regent is known for its inclusive fares that cover shore excursions. Passengers can enjoy at least one free tour -- usually lasting four or five hours -- in every port. There are additional for-fee excursions available as well. Onboard Seven Seas Splendor during the day, expect low-key activities like trivia sessions, dance classes, cooking demonstrations, shuffleboard tournaments and wine tastings led by knowledgeable sommeliers. The ship's enrichment program brings aboard guest lecturers, many with a Smithsonian affiliation, to discuss topics ranging from history and geography to technology and space exploration. A Canyon Ranch Spaclub will be a fixture on the ship, offering free access to a thermal suite for everyone, treatment rooms, a beauty salon and fitness center. In the evening, cruisers will enjoy a variety of cabaret-style shows in the two-deck Constellation Theater or try their hand at a game of chance in the casino.